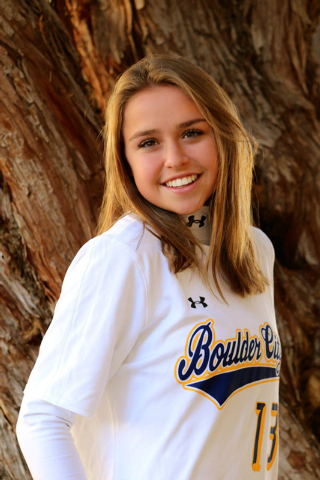 Each week, the coaches at Boulder City High School select an athlete to spotlight for contributions made to his or her team. This week’s honoree is junior Paige Buettner, who plays as linebacker and running back on the flag football team. Buettner recorded 11 tackles and three sacks defensively and scored three touchdowns and an extra point rushing for 45 yards in the Dec. 2 and 3 victories against Silverado and Valley, respectively. She is the daughter of Hunter and Lindsay Buettner.